There’s also a decent selection of streaming/downloadable content. 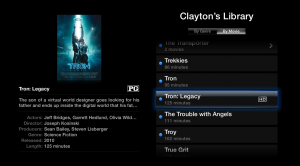 Mainly iTunes Movie rentals/T.V. Shows and Netflix streaming. The iTunes movie rentals are on the more pricey side with new releases running around $5 for an HD movie and $4 for an SD movie. Sometimes they do have a deal with a 99 cent rental which is always good. It is certainly cheaper to rent a movie from the Redbox, but a lot less effortless and time consuming by just renting from the Apple T.V. 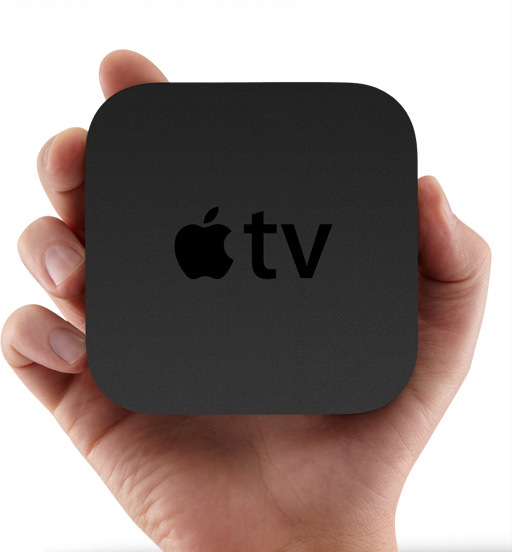 For Netflix the Apple T.V. 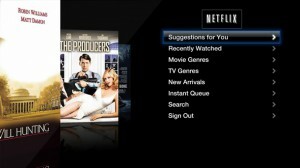 has what most consider the slickest interface on any device. It looks nice and runs very fast. The only devices I have to compared with, are the Xbox 360 (which also requires a gold live account for netflix), and our set top Blu Ray player which is slow and clunky. 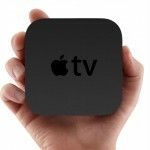 The main way in which I’m using the Apple T.V. though is iTunes Home Sharing. 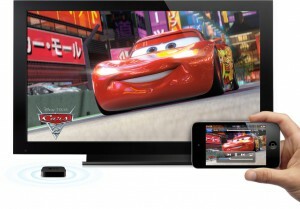 This allows you to take any movie in iTunes and stream it to the Apple T.V. 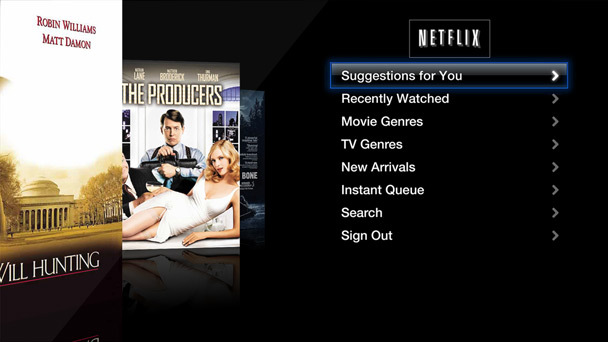 Typically the way you’d do this is purchase your movie in iTunes on your computer and then it would be there for streaming. I haven’t moved to purchasing movies to strictly digital like I have with music just yet as I like my Blu Rays and bonus features. However, I do love the fact that movies purchased this way display all their info (actors, rating, descriptions, etc) right on the movie list and are instantly playable with no disc waiting time. To get this same experience with my own collection I decided to start digitizing our movie library. It is quite the process when you own several hundred movies, but once I’ve caught up on it, it won’t be a big deal. Anyway the huge advantages are no disc load up times (Blu Rays always take a few minutes just to get to the menus), and where we have two Apple T.V.s I can start a movie on one and instantly resume on the other. 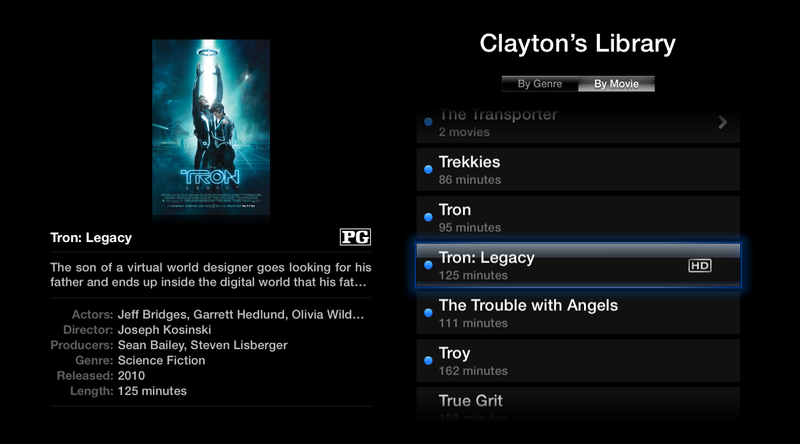 Also, all these movies show up on my iPad/iPhone when I’m home on my network. 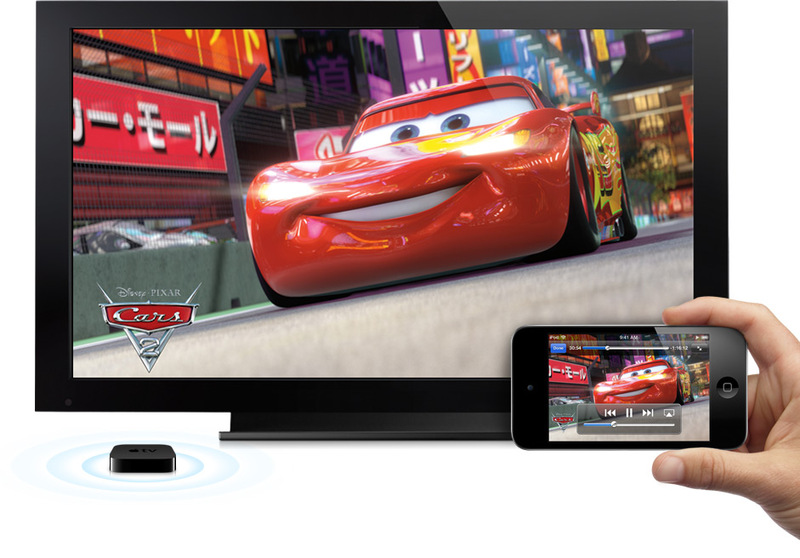 No syncing required, they just stream. Ripping/encoding your entire movie library is quite the task, but luckily I’ve found some great Automator Scripts that ease the process. I used the workflow for most of our DVDs which worked great. 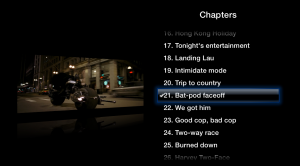 Recently, I started the Blu-Rays and I had a problem with the scripts not detecting my external blu-ray drive. I did some testing for a new version to help fix the problem and the developer figured it out. Overall, they work great. All I pretty much have to do is feed the discs and tell it what the movie is. Most everything else is automated and uses free tools to boot. 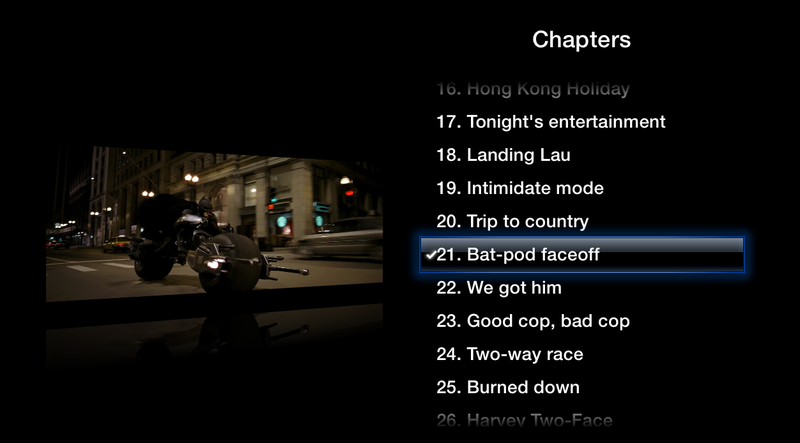 It also automatically tags all the movie info, chapters, etc for you. I got to have one. Maybe soon.